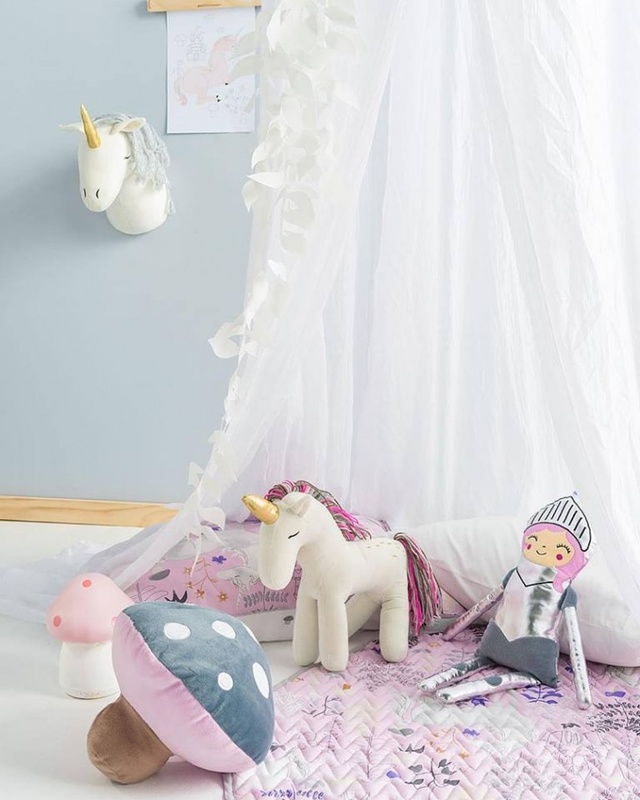 At Linen House, we cater to an entire family’s bedding needs, from king-sized quilt cover sets to kids manchester, soft toys and other room products! A child’s bedroom is a sanctuary. A place where they can dream, sleep and play. For older kids, it’s where they can hang out with friends, complete homework or sit quietly and read. We understand this at Linen House, hence we’ve created a unique range of kids manchester and bedroom products. Think brightly coloured kids quilt cover sets, pretty pink sheet sets, matching European pillowcases, novelty cushions and floor rugs and mats. We have your little ones covered so they can sleep peacefully or cosy-up with a book and a warm throw. Keep your child’s room tidy (well tidier perhaps) with our kid's storage solutions or give them their own living space with our bean bag covers. For the nursery, we offer manchester such as cot quilt covers, sheets and cushions. We also have a range of kids products for the beach or bath with our beach towels and bath time essentials. For a look at our complete range of kids manchester and bedroom products, browse our site online or visit your nearest stockist today. We ship free to both Hong Kong and Singapore! Always open & awaiting for you!